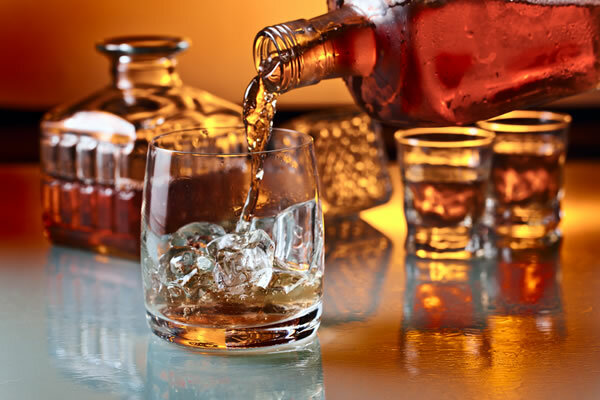 No spirit can energise you the way whisky does, and when you get into the truly legendary stuff, it is drop after drop of pure hedonistic pleasure that can ease your worries away, put you into an immediate state of relaxation or catapult your evening into one to remember. Smoky, floral, fruity, malty, spicy, peaty, honeyed, nutty, vanilla, woody and just so much more from each sip…. I should be upfront about this, the more expensive or older the whisky doesn’t necessarily make it better. For example, I love Glenmorangie 10 YO or the Glenlivet 15 YO or Jameson and while they are fantastic they are not exorbitantly expensive or neither have been aged for multiple decades. 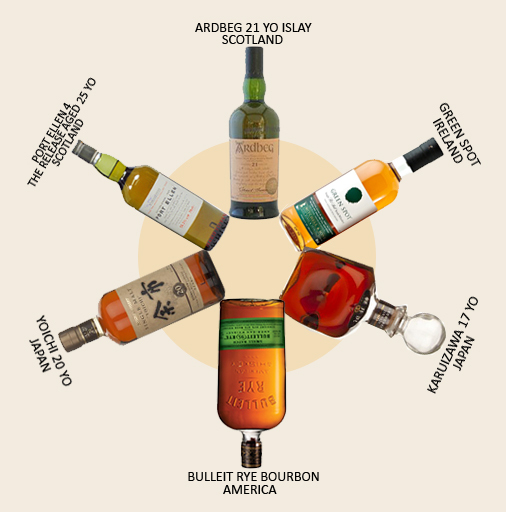 But since in this little whisky party we’re aiming for greatness, let’s get the lowdown on some truly legendary whiskies some of which you just might have to sell your one-bedroom home in Bombay for. Green Spot, Ireland You’ve got to try Irish whiskies if you have not already done so. This Irish single pot still whisky has taken on iconic status. Notes of honey and spice with a tinge of coffee. Winner of the Irish Whisky Masters in 2014. Bulleit Rye Bourbon, America Love the bottle shape to begin with. With a high rye percentage this small batch Bourbon is a phenomenon that is taking on legendary status. Cherry, vanilla and spice, smoke and some sweetness. Karuizawa 17 YO, Japan Smoke, iodine, peat, sherry sweetness, spice and floral notes combine to give this whisky some serious complexity. Yoichi 20 YO, Japan An unbelievable example of Japanese whisky imitating the Scottish style. Caramel, toffee, honey, vanilla, rich, ‘sherried’ and spice are just some of the descriptors. Voted World’s Best Single Malt in 2008 at World Whisky Awards. Ardbeg 21 YO Islay, Scotland The first time I had Ardbeg 10 YO was during my time at Moet Hennessy and I simply couldn’t believe the level of peat, saltiness and oiliness that could exist in whisky! I have had a glimpse of the 21 YO once, and now perhaps I can live vicariously. Port Ellen 4 the Release Aged 25 YO, Scotland Truly difficult to get your hands on a bottle since in 1983 the distillery was shut down. Now it remains a legend. If you get your hands on one, call me over please. Drinking whisky, like drinking wine or anything else for that matter, is like drinking nature. The water, climate, barley, grain, soil, sea, trees all have their part to play and with the right human ingenuity and passion, they all come together to create for you, well something special.